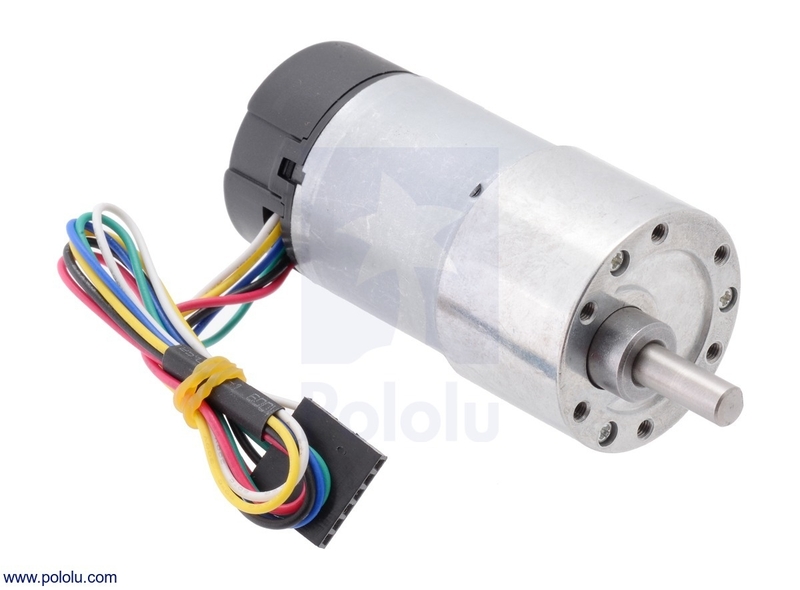 This gearmotor is a powerful 12V brushed DC motor with a 18.75:1 metal gearbox and an integrated quadrature encoder that provides a resolution of 64 counts per revolution of the motor shaft, which corresponds to 1200 counts per revolution of the gearbox’s output shaft. 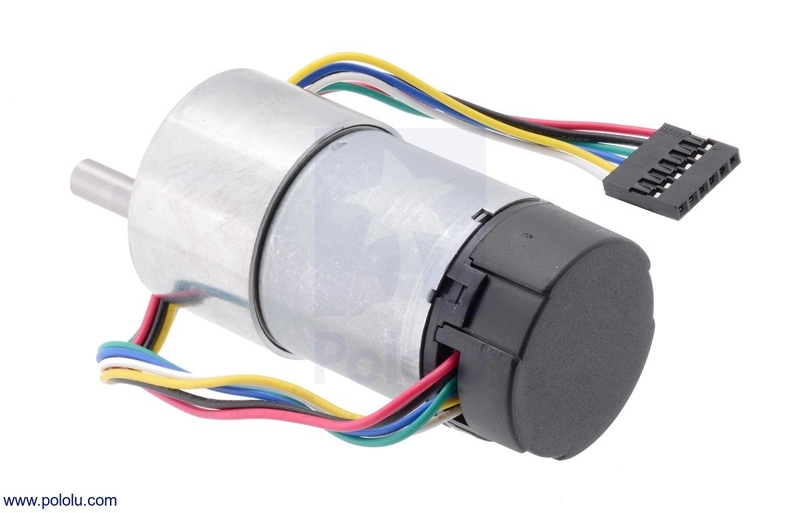 These units have a 16 mm-long, 6 mm-diameter D-shaped output shaft. 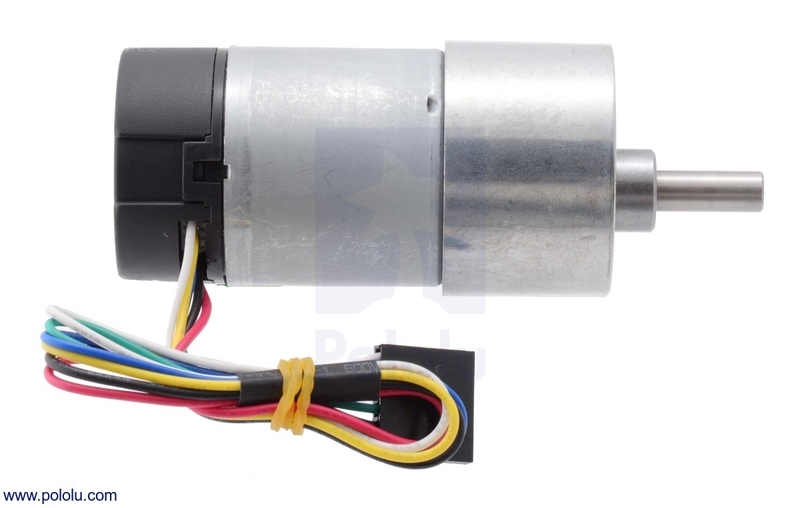 This gearmotor is also available without an encoder. 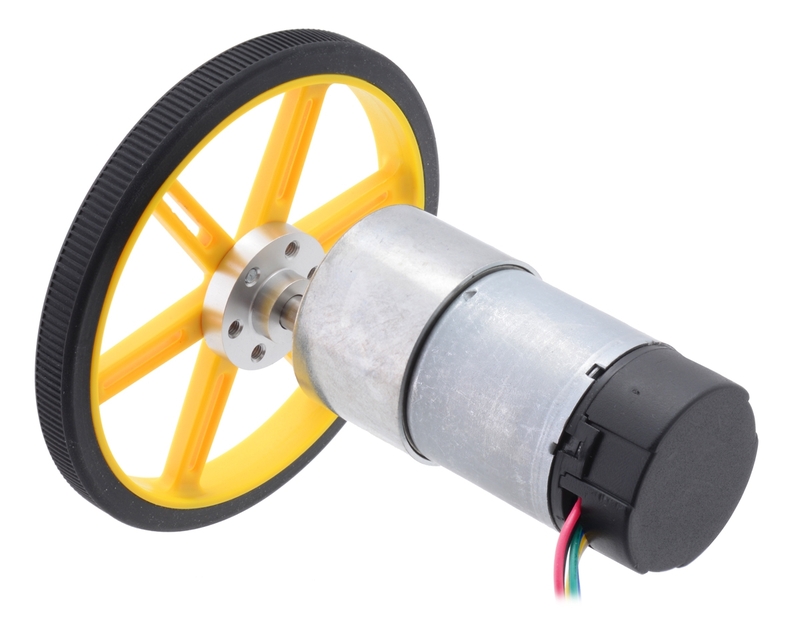 Key specs at 12 V: 500 RPM and 300 mA free-run, 6 kg-cm and 5 A stall.